Memofante https://www.zumub.com/images/large/products/memofante_50_plus_30caps - Copy_LRG.jpg 3MEM5460 There are no reviews yet. 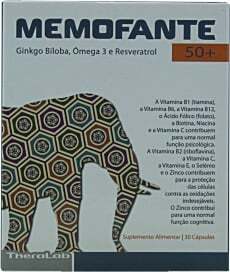 Have a question about Memofante 50+? What is it, what does it do, how and when to use or something else? Ask us. 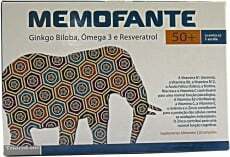 Memofante 50+ 30 capsules is a discontinued product. Please browse other products you might be interested in..
ALLERGEN INFORMATION: Contains preservative.,Contains sweeteners.,contains sugar,Gluten free,Alcohol free. 1 capsule daily, preferably before breakfast. If necessary, may take up to 2 capsules daily. WARNINGS Memofante 50+ : Store at cool and dry place, away from light! Food supplements should not be used as a substitute for a varied and balanced diet and healthy lifestyle. Keep out of reach of children. Do not take if you are hypersensitive to any of the ingredients. Do not exceed recommended daily dosage! This supplement is not a medicine. Tolerated by diabetics.